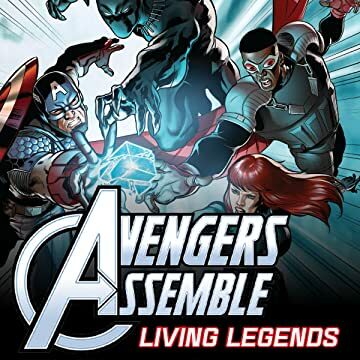 Collects Thor: Where Walk the Frost Giants #1, Black Panther: The Sound and the Fury #1, Avengers: Shards of Infinity #1, Ant-Man and the Wasp: Living Legends #1, Captain Marvel: Braver & Mighter #1. Your favorite movie heroes in action-packed comic book adventures! When tragedy strikes Asgard, Thor must hit back against the ice giant Ymir! The villainous Klaw visits sound and fury on Wakanda — and the Black Panther! 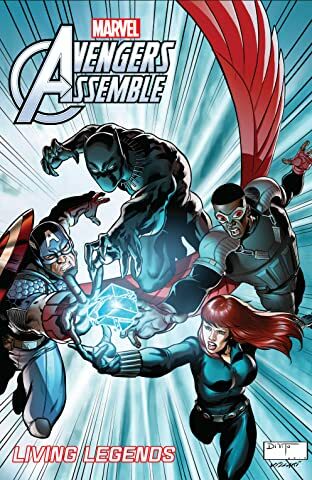 T'Challa joins Black Widow, Captain America and the Falcon on a mission to the moon — where awaits a deadly weapon powered by shards of the Cosmic Cube! Scott "Ant-Man" Lang lives up to Hank Pym's heroic legacy when he teams with the Wasp for a return trip to Dimension Z — home of the Living Eraser! And on Carol Danvers Day, will the Mighty Captain Marvel make it to her own celebration?